Looking for a unique dessert idea for your next affair? Treat Me Sweet specializes in personalized macarons for any event. Children’s birthday parties, baby and bridal showers, wedding receptions, religious celebrations, corporate events and holidays – you name it, we’ll personalize it! 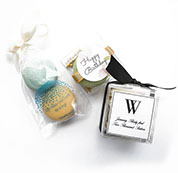 Whether it’s a company event or an appreciation gift for a special client stand out from the crowd with your personalized branded macarons from Treat Me Sweet. 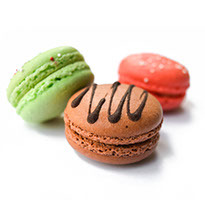 We will customize each macaron with your company’s logo in your color and flavor preference. 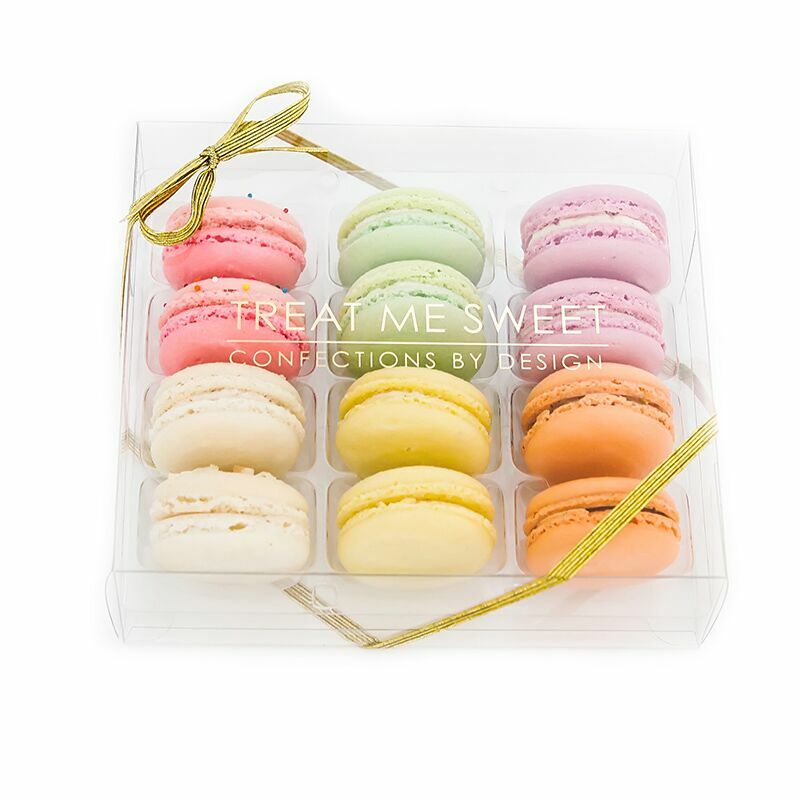 Treat Me Sweet macarons make the perfect party favor! Our favor boxes and bags come with a personalized gift tag and ribbon and color coordinated to match the theme of your event. Treat Me Sweet offers custom printing on any macaron. • Printing application .50 per mac. Treat Me Sweet offers macarons customized in any flavor or color combination with a minimum of 30 macarons per color / flavor at no additional fee. Treat Me Sweet macarons make the perfect present for birthdays, hostess gifts, teacher gifts, holidays or to just brighten someone’s day. All gifts are packaged in our signature box with a personalized note card and gift bag. Our gift boxes can be branded and personalized for an additional fee.